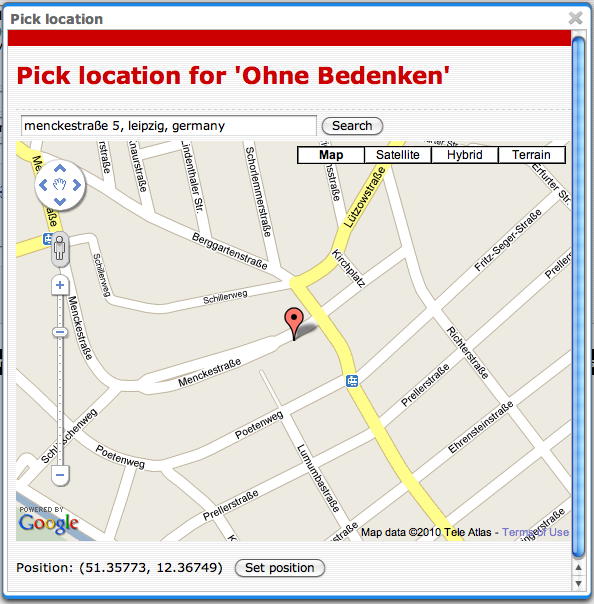 We thought it might be interesting to show off one of the new features in 5.1.1: geotagging. Ontopia 5.1.1 beta 1 was released today. The main changes in this version are support for geotagging in Ontopoly, pluggable support for authentication and authorization, and a number of bug fixes. We hope to release the final version before long. In the meantime, any and all beta testing is much appreciated. We are working to get these features properly documented in the Ontopoly User Guide that comes with the product, but in the meantime this may be helpful. Issues have already been created for two of these features, views and the embeddable version, where you can find a bit more information. If you have further questions, please use the comments or post to the mailing list. Trond Pettersen has now published part 2 of his excellent series of blog posts on how to develop web applications with Ontopia. This part is called “Creating the database,” and focuses on creating the ontology with the Ontopoly editor. Highly recommended reading!